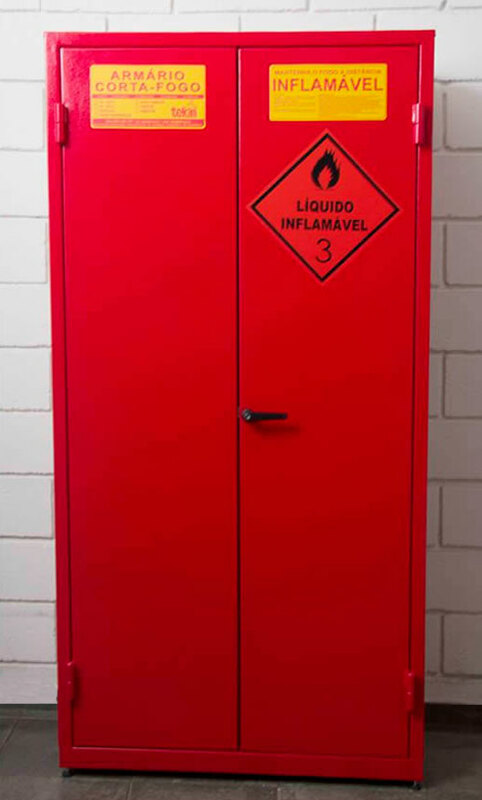 Since its founding in 1985, Tekin Industry y Trade has been in the market for industrial equipment designed for safety, with the development of the first Brazilian safety can and safety cabinet, it is today the only company in the Southern Hemisphere to have the seal of approval of most of its equipment by Factory Mutual Researchuts (FM) tested and approved in laboratories in Norwood - Massachusetts. 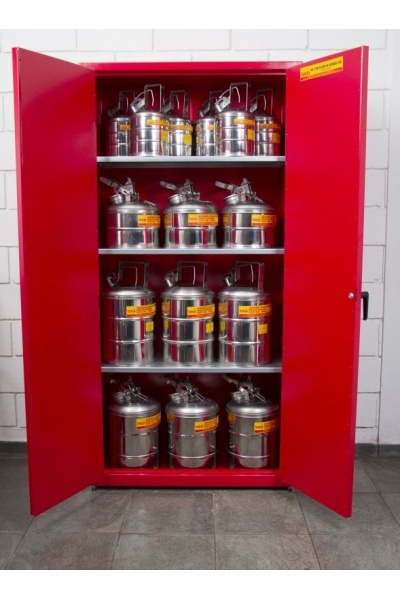 Therefore, it accumulates the most varied range of models and sizes of safety can, safety cabinet, storage cabinet and other equipment, and it is made with treated carbon steel plates and AISI 304 and 316 stainless steel plates, serving the most varied segment of the industry. 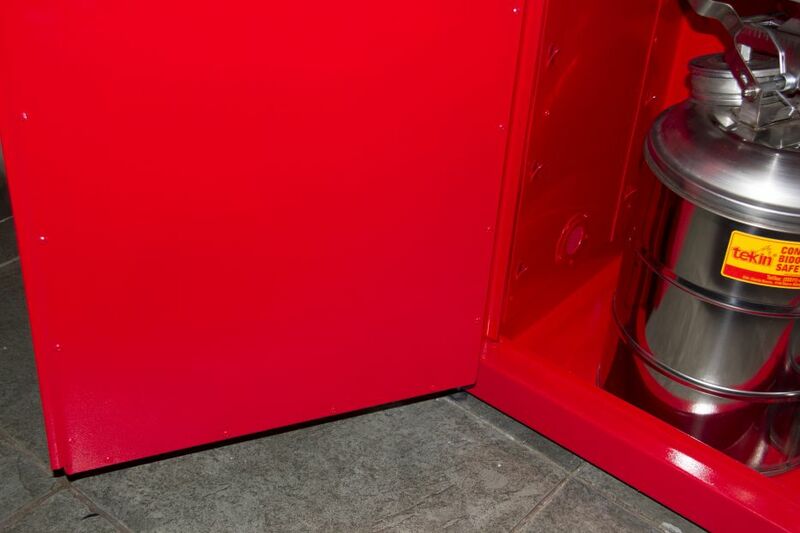 Tekin also combines the expertise of its technicians with the practice of building safety tested products with specialized designers, where it works together with its customers to provide innovative solutions for common and unusual situations. 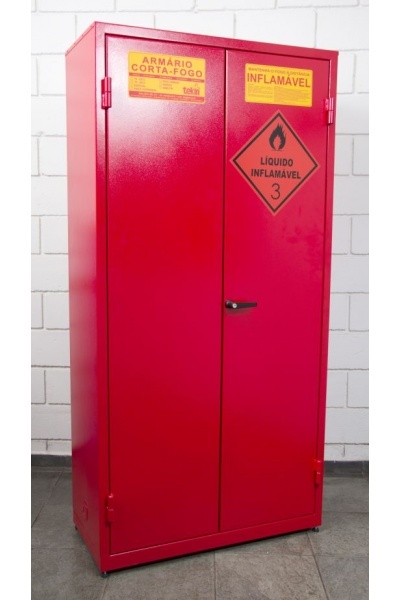 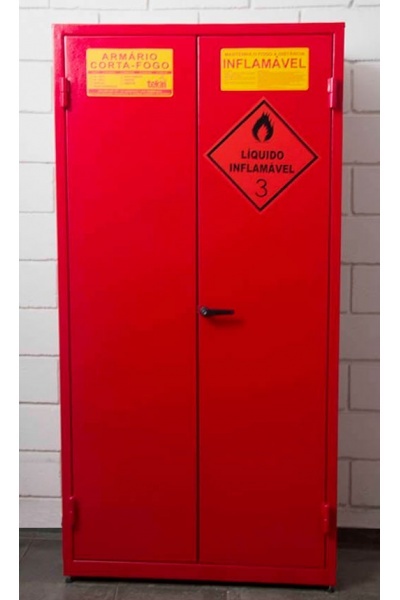 A leader in the manufacturing of safety cabinets,safety storage, for nearly 40 years, TEKIN IND E COM LTDA has set the industry standard for high quality safety cabinets for the storage of flammables and other liquids. 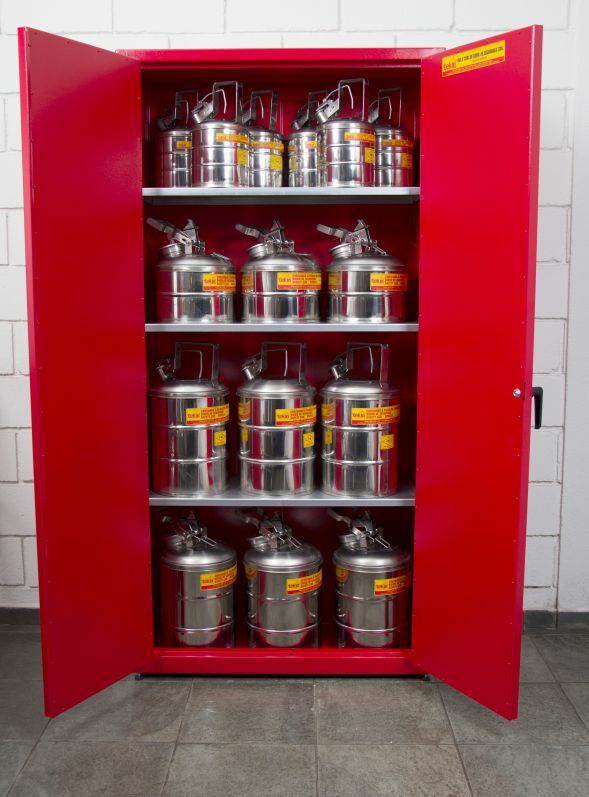 In 2011 Tekin designed a new state-of-the-art production facility and created a cabinet design incorporating improved convenience and safety features. 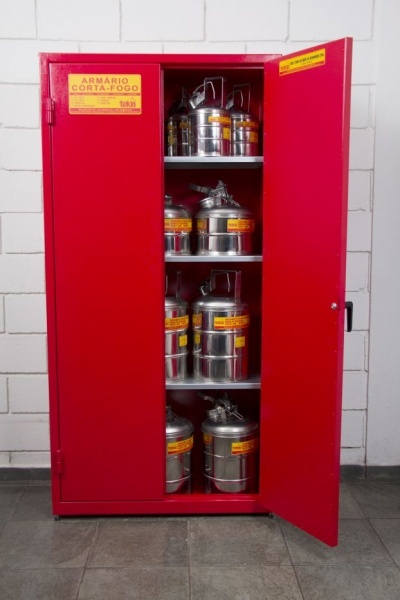 Our safety cabinet product line is designed and manufactured to best meet the ever-changing needs of today’s business, industrial and laboratory environments. 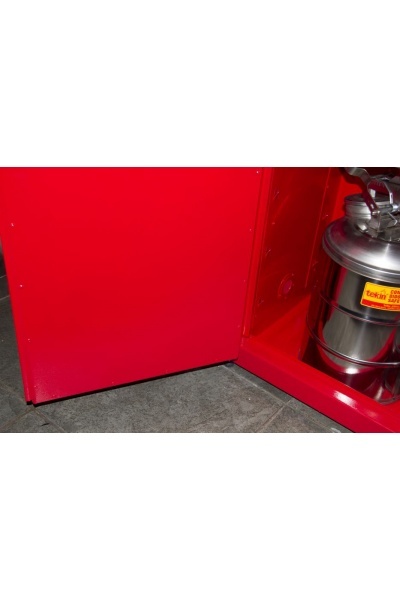 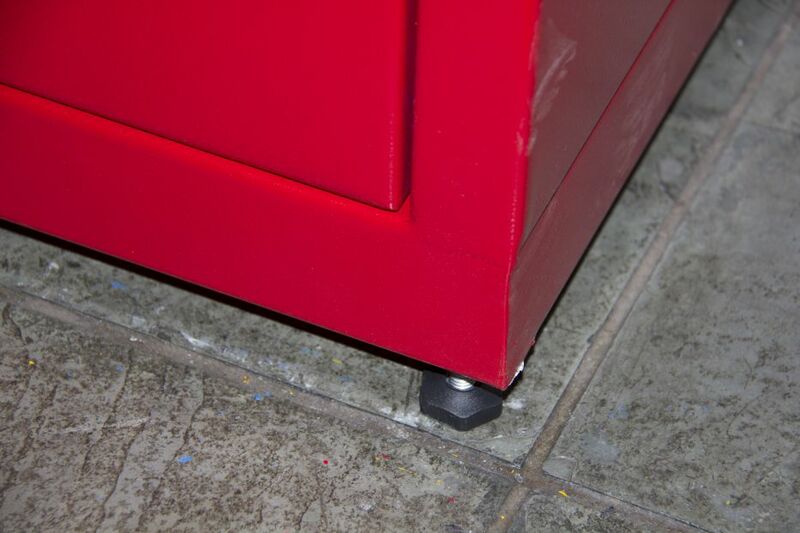 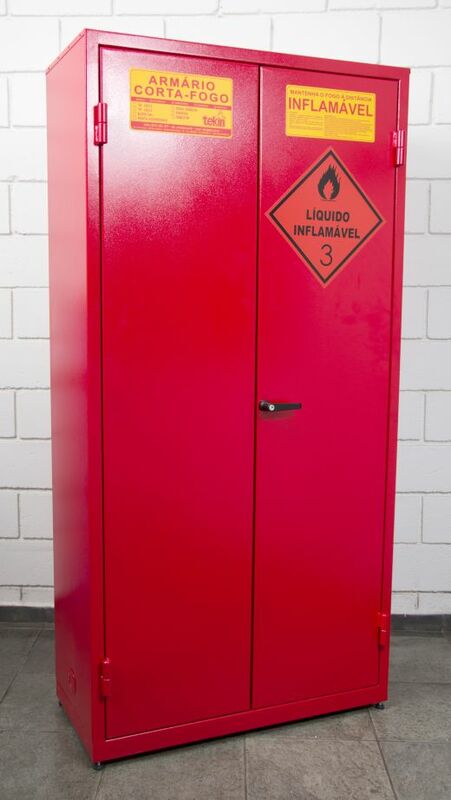 All of our safety cabinets are 100 percent made in the BRASIL and are available in 3 to 110 gallon sizes. TEKIN Safety Cabinet features include: Reinforced double-wall construction with 1 1/2" air space on sides, top, bottom, back and doors, Lead-free, high-gloss, baked on power coat finish, Continuous hinges, Ground connection, Four adjustable galvanized leveling legs, Trilingual warning labels, 2" raised leakproof sill, Adjustable galvanized steel shelves that hold 320 lbs., Internal and external welded construction, Two 2" internal vents with fire baffle and cap, Flush mounted door handle with key lock, Three-point latch system, 4 3/4" centers for shelf brackets, Self-latching doors, Constructed of 18 gauge steel, Available in 2 to 110 gallon sizes. 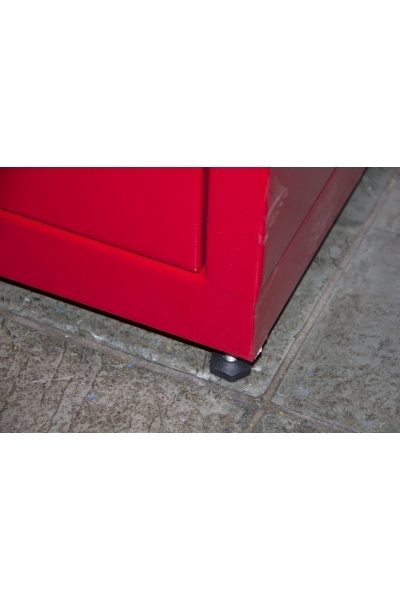 Manual or Self-closing.